Mr. Timothy Wiswell of Angola, Ind., and Mr. and Mrs. Clint Boundy of Paulding announce the upcoming marriage of their daughter, Samantha Renee, to Nathan Harold Stechschulte, son of Matt and Dee Stechschulte, Fort Jennings. The bride-elect is a 2009 graduate of Wayne Trace High School. She studied network systems at Vantage Career Center, attended The University of Toledo and received her associate’s degree from University of Phoenix. She is presently employed by GLM Transport as a dispatcher. The prospective groom is a 2010 graduate of Fort Jennings High School. He studied interactive media at Vantage Career Center. He is a FOH sound engineer and works for All Purpose Contracting. 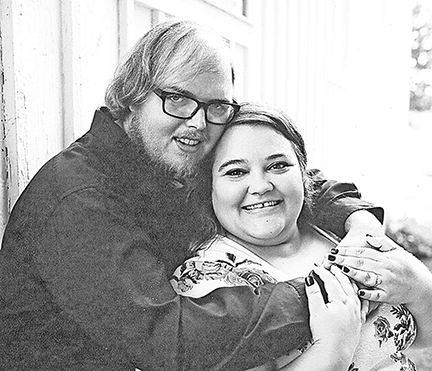 The couple will exchange wedding vows on Saturday, March 30, 2019 at Memorial Hall in Fort Jennings.